FFA - Visiting Angels divests referral relationship with top Al Jazeera America sponsor. 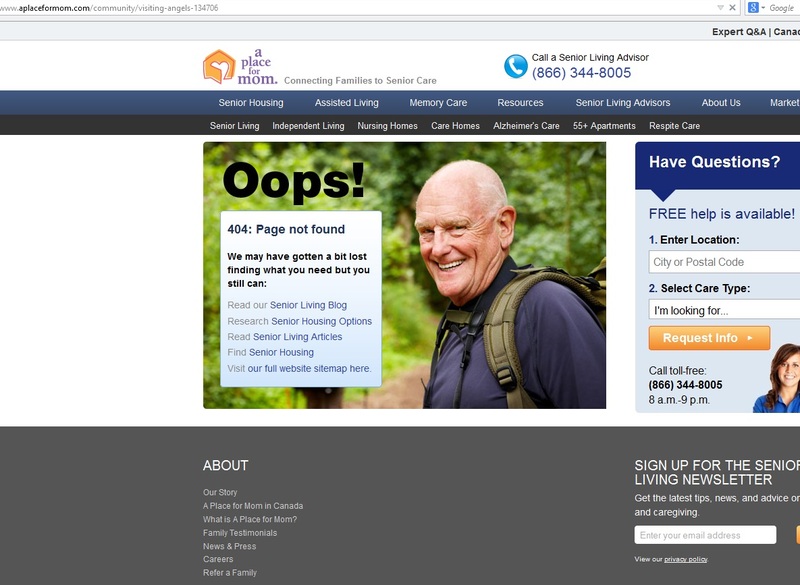 Florida Family Association sent out an email alert on September 29, 2014 which reported that several retirement home companies have a referral relationship with A Place for Mom, the leading advertiser on Al Jazeera America. Retirement home companies pay a fee to A Place for Mom for the referrals they bring to them from A Place for Mom television advertisements. Therefore, part of the referral fee from these retirement home companies is going to the Qatar based Al Jazeera channel. The retirement home companies reported in the September 29, 2014 email alert as having a referral relationship with A Place for Mom included: Brookdale Senior Living, Inc., Emeritus Senior Living, Capital Senior Living, Sunrise Senior Living, LLC, AdCare Health Systems, Inc., Holiday Retirement, Marrinson Group, Inc., Silverado, Belmont Village, Leisure Living Management and Visiting Angels. 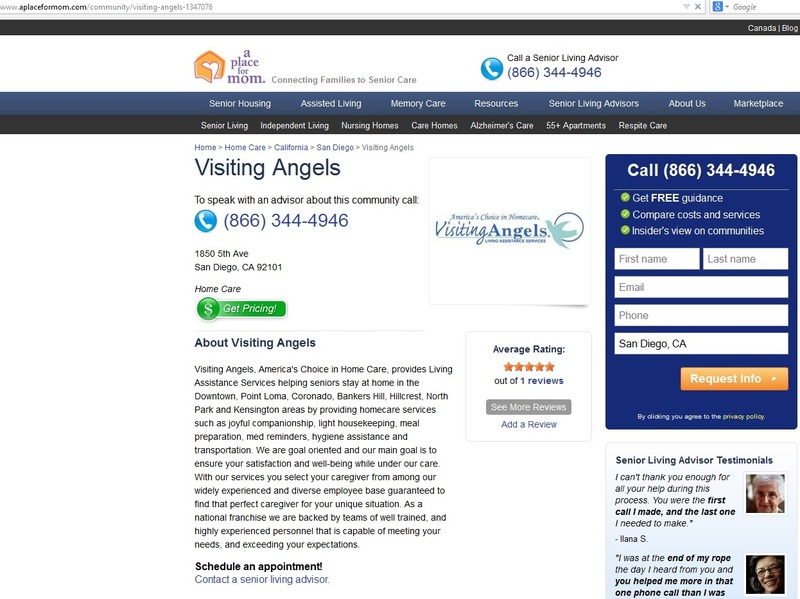 Visiting Angels was removed from the September 29, 2014 online article after they divested their referral relationship with A Place for Mom. 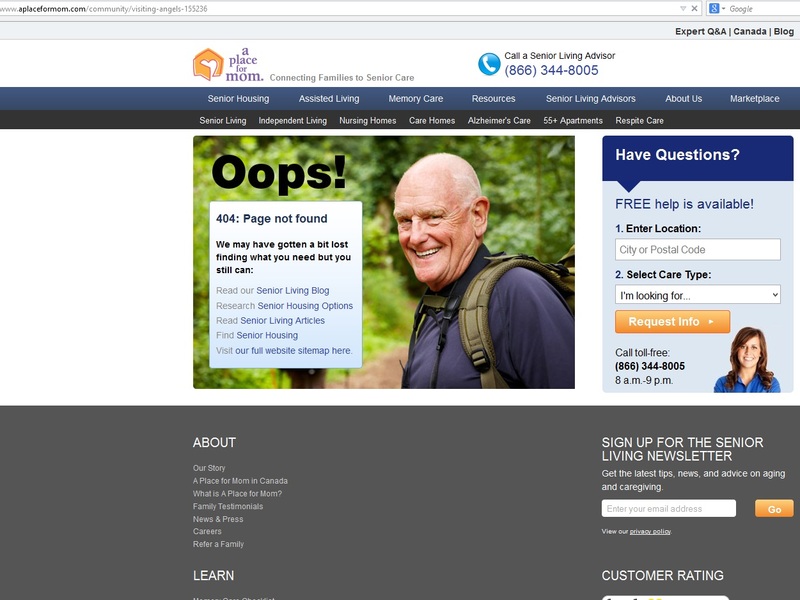 Thousands of people sent emails to voice their concern to these retirement home companies regarding their referral relationship with A Place for Mom, the leading advertiser on Al Jazeera America. 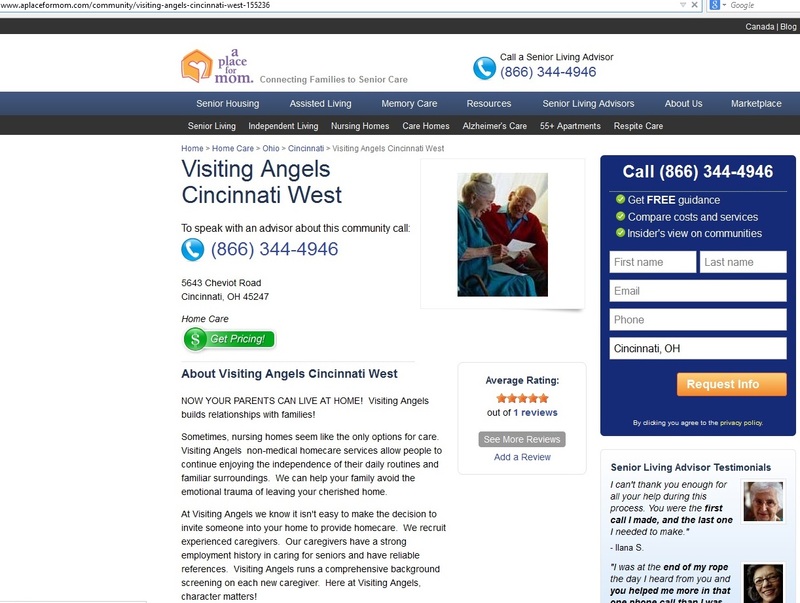 Visiting Angels asked A Place for Mom to remove their referral information from their web site. The often contentious email communications between Visiting Angels and Florida Family Association in which they confirm that they instructed A Place for Mom to remove their referral information is posted here. However, Visiting Angels first responded to emails from concerned consumers by stating that they had no relationship with A Place for Mom. The following web pages taken from the A Place for Mom web site on September 29, 2014 clearly show a referral relationship between Visiting Angels and A Place for Mom. Click on photo to enlarge. HOWEVER, the same A Place for Mom web pages (posted below) on October 7, 2014 showed the referral information for Visiting Angels was removed. Click on photo to enlarge. Visiting Angels wrongly criticized Florida Family Association for posting erroneous reports and executing a strategy which did not communicate concerns with their company first. Clearly, the A Place for Mom web pages posted above show that Visiting Angels had some referral relationship with the advertiser. Additionally, Florida Family Association’s strategy not to contact secondarily involved companies first before launching email alerts has proven to be the most effective tactic. Florida Family Association does contact companies that advertise on Al Jazeera America several times before launching online campaigns. However, after such advertisers have demonstrated their resolve to continue to support Al Jazeera then Florida Family Association’s subsequent tactics needs to be strong in order to be successful. Such tactics include contacting the advertisers’ referral businesses associated with the advertising.